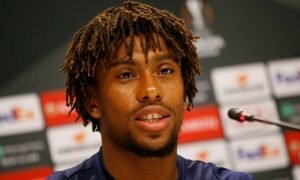 Man United, Chelsea & Arsenal fight for signature of new Neymar | The Transfer Tavern | Where football transfer rumours fly or die! Supporters from the Premier League’s elite are discussing today a shared transfer target for them all and debating who will end up securing his services. The Sun states Manchester United, Chelsea and Arsenal are all chasing the signature of 19-year-old Santos forward Gabriel Barbosa, who is rated as the most exciting prospect in Brazilian football and will bolster his reputation at the Copa America, which begins in the early hours of tomorrow morning. Nicknamed ‘Gabigol’, the teenager has netted over 50 goals in 150 appearances for Santos and has understandably earned comparisons to former Santos superstar Neymar, who’s making waves with Barcelona. Barbosa scored on his international debut for Brazil last weekend and the Premier League trio are eyeing his signature, though they’ll have to match his vast release clause of £40m to land his services. 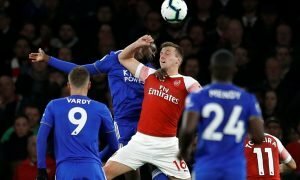 All three of the Premier League clubs are eyeing a lot of business this summer, with both United and Chelsea under the control of new managers, whilst Arsenal want to splash the cash after a disappointing season. Which club should this sensation join? Let us know in the comments below!